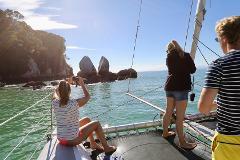 Join our most popular tour for a day of scenic sailing. Cruise the coastline and islands, see Split Apple Rock, bird and marine life, enjoy the antics of New Zealand fur seals and much more. Get involved or sit back, relax and enjoy! Start your day sailing the coastline passing Split Apple Rock. Take in the golden beaches and bays, islands and birdsong before arriving at Anchorage. Around midday, abandon ship at Anchorage for a stunning nature walk back to Marahau. 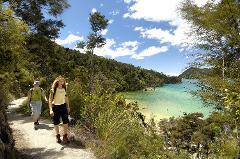 Start the day with an invigorating walk through lush native forest from Marahau to Anchorage. 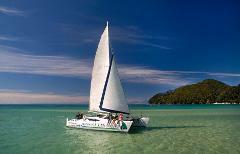 Join your catamaran, catch the sea breeze for an afternoon of sailing and sightseeing. Starting at 8:15am, navigate your kayak between Marahau and Watering Cove. Stretch your legs with a 30minute walk over to Anchorage, joining the catamaran at 1:30pm to sail the coastline past the Fur Seal colony, back to Kaiteriteri beach. Combine a morning scenic sailing with return water taxi ride. If you're short on time, but want a great Abel Tasman experience, or just want to hang out on the beach for longer then this is the trip for you. 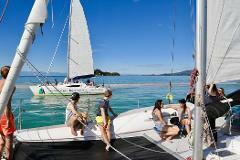 Combine a water taxi ride to Anchorage with an afternoon scenic sailing return to Kaiteriteri. 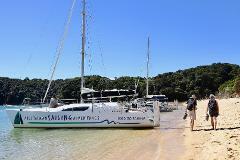 If you're short on time, but want a great Abel Tasman experience, or just want to hang out on the beach for longer then this is the trip for you. 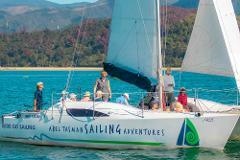 Combine a morning scenic sailing to Anchorage and an afternoon on the water taxi exploring further North to Totranui before returning to Kaiteriteri. 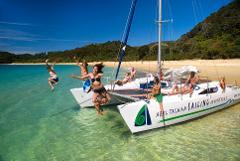 Make the most of your stay in the Abel Tasman National Park by combining the joy of sailing with a water taxi ride on a full day experience, while transferring you back from Awaroa Lodge to Kaiteriteri. 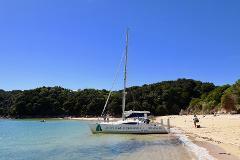 Combine the joy of sailing with a water taxi ride, ensuring you make the most of the Abel Tasman National Park on a full day experience transferring you between Kaiteriteri and Awaroa Lodge.